No Website? Where do I begin? In the world we now live in, consumers are turning to the internet for everything, if you are offering a service, looking to raise your profile for more work or find your competitors have all got great websites, but you have not? Where do you get started? 1 – Well firstly you need to come up with a domain name for your website. That is a www.yourname.com or www.yourname.co.uk. We can help you with this and provide some tips and advice on what to do (and what not to do!). This is the basis for your website, so you really need to get this right first time! 2 – You will then need to have at least a single page on the internet. A holding page if you intend on having a larger website built too. Something that tells the world you exist and I am working on it! It also tells the search engines you exist too, this is important so in time they can index you and get to learn about what you do. If you don’t want a fully blown website and are just looking for a single page, then no problem. We appreciate budgets are tight at the best of times, so feel free to contact us to have a chat about costings. Many years ago, a friend of a friend put together a website for you or just a single webpage. You lost touch, never got round to updating it and now it looks like a five year old put it together, circa 1989. 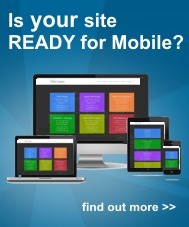 Hmm, OK well whatever your reason for a refresher or more modern website, we can ensure the site gets updated for you. Modern day internet browsers all work slightly differently. Then you have your audience. Are they finding you on their desktop MAC or PC, mobile smartphone, tablet, iPad or other device? You need to know your website works on all of these too. 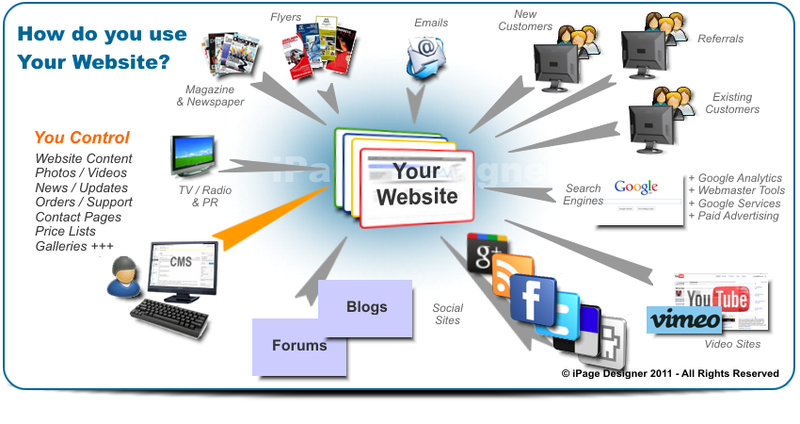 The above collage shows just a typical example of how a website may be integrated within your business needs. Everyone is different and so are your needs and requirements. We all have different ideas too, about what you expect to get from a website. Perhaps you just want to raise your profile, give your competitors a run for the money, provide an online service to your clients. Perhaps you run a restaurant and want to promote your menus and events. Do you need help finding work in your specific field of expertise and need a professional looking blog to help you find work? We specialise in websites for SME’s and personal blog sites. We can cater for all budgets and offer stage payments, to help spread the cost if you are not sure you can budget for a site today. So, to make the leap and get started, it really is just down to a telephone call or email. We can then have an informal chat about your needs, wants (and fears if any! ).